All proceeds go to the KPL construction project. No one will be turned away for the lack of funds. 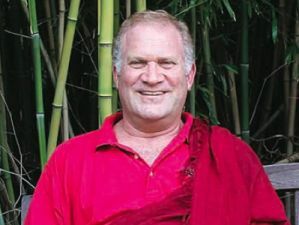 Lama Surya Das and Tulku Sherdor are well-known and highly experienced American teachers of Tibetan Buddhism whose work focuses on bringing the authentic and profound view, meditation and conduct of the practice traditions, and Dzogchen in particular, into every aspect of life. They are also founding members of the 2012 Rimay Monlam Committee at Garrison Institute (www.rimaymonlam.org). Kunzang Palchen Ling (KPL) is a Tibetan Buddhist center in Red Hook, NY, committed to bringing the diverse teachings of Tibetan Buddhism to students in the U.S. It is also a unique venue for the preservation and presentation of the treasure teachings of Terchen Barway Dorje and the Barom Kagyu lineage. KPL is currently in the process of building a new facility to better serve the needs of the local and national community of spiritual seekers.